Orlando Pirates players will begin a series of trauma counselling sessions with trained psychologists in order to help them deal with the sudden loss of their captain and goalkeeper, Senzo Meyiwa. The 27-year-old Bafana Bafana star was tragically gunned down in a residence in Vosloorus and pronounced dead upon arriving at the hospital. Orlando Pirates held an emergency press conference at their training venue which was attended by the visibly shocked and traumatised Pirates players who could not hold back their emotions on the death of their colleague. 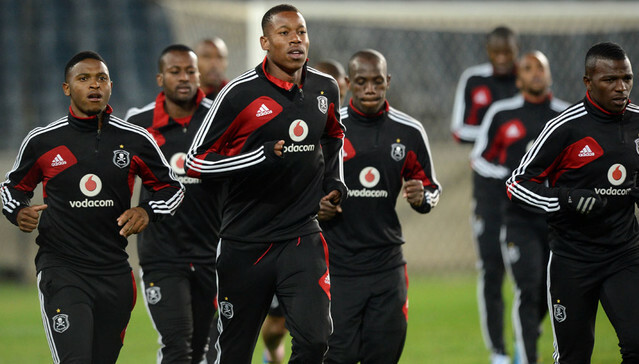 Speaking exclusively to the Siya crew, Pirates administrator, Floyd Mbele confirmed that the players would not be attending training but will rather begin their counselling session today. “As the Pirates management we want to help the players deal as best as they can with the loss of their brother. They are going to start counselling sessions today with psychologists,” said Mbele. “There really isn’t a rule to follow when dealing with such a situation so we will consistently communicate with the players and the psychologists. This could take a couple of days or up to a week, “added Mbele.